Motivated seller!! 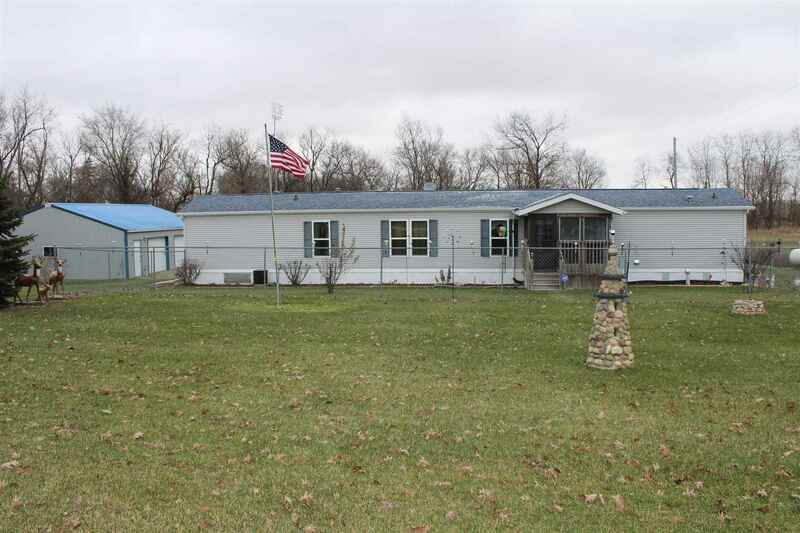 Great rural setting just north of Orland! Property has just over 6.5 acres and tons of potential! Investment opportunity. Home would make a great rental, buidling sites, etc. The 1996 manufactured home has had numerous recent upgrades including: new roof &apos;16, new windows, house wrap, insulated skirting, new water heater, new LR carpet and kitchen linoleum, new fridge, faucets & toilets. The 1280 sqft home has 3 bedrooms & 2 full baths plus a screened porch and partially fenced yard. This property has been maintained exceptionally well and is ready for new owners. A 1200 sqft detached pole barn also has a lean to and room for 3 cars. A horse stall, two storage sheds and a small greenhouse remain with the property. In addition to the low maintenance & low cost living you&apos;ll find ample gardening space PLUS apple, peach and apricot trees, a strawberry garden, great hunting opportunities (deer food plot anyone?) and a tucked away feeling. 2 additional freezers stay and the propane tank was just filled too! Septic was just pumped & cleaned 12/6/18.